Lucha Underground is currently holding their talents hostage under contract. This is the reason why popular stars like Pentagon Jr. and Fenix are unable to sign contracts with AEW. Pro Wrestling Sheet reports that King Cuerno who also wrestles as El Hijo del Fantasma and was recently unmasked at TripleMania, has filed a lawsuit against Lucha Underground. In the documents provided, they detail the lawsuit and he means business. His attorneys go on to explain how Lucha Underground can have these illegal restrictions on talents. Then it is further explained how different it is for Lucha Underground stars under their contracts. Lucha Underground launched in 2014, a time when there was not a lot of options in the United States in the professional wrestling industry. Though it is a violation of California law, all of the contracts offered by Defendants contained restrictions that prohibited the professional wrestlers from engaging in their lawful profession. Since the creation of Lucha Underground, the professional wrestling has improved, and legitimate professional wrestling organizations started offering competitive contracts that did not exist when Lucha Underground was launching. Specifically, Ring of Honor (ROH) wrestling is offering better contracts than where being offered in 2014. Ring of Honor is a highly respected legitimate wrestling company owed by Sinclair broadcasting. Contracts offered by ROH allow wrestlers to make a living wage. A new wrestling company, All Elite Wrestling, is owned by a billionaire businessmen Shahid Khan and Tony Khan. They are offering top dollar contracts that allow wrestlers to make a good living working on a full time basis as professional wrestlers and attracting top talent – including talent from the WWE. WWE is the king of the wrestling industry, and has been for decades. They have shown heightened interest in wrestlers currently working with Lucha Underground, partly due to the new competition posed by All Elite Wrestling and some of their biggest stars looking to jump from WWE to All Elite Wrestling. WWE wrestlers are well paid. Finally, Impact Wrestling, often considered the #2 company over the last decade, recently was purchased by a Canadian company. The change in ownership has opened up opportunities that did not exist in 2014. Impact Wrestling wrestlers are well paid. By contrast, Lucha Underground broadcasts between 22 and 40 television episodes per year, with no live events like the other described wrestling promotions. If a wrestler appears on a show, it is usually just a couple. The payment per episode is usually less than $1,000. King Cuerno claims to have lost a lot of opportunities, thousands of dollars, and a contract with another company due to these LU contract restrictions. Therefore he is seeking putative and actual damages. 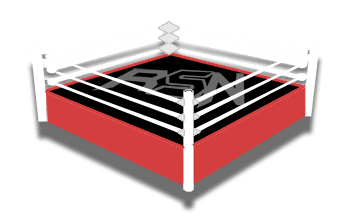 We will keep you updated on any further events here at Ringside News. At this point, Lucha Underground’s next season is up in the air as they continue to debate about the size of their budget along with other production specifics.